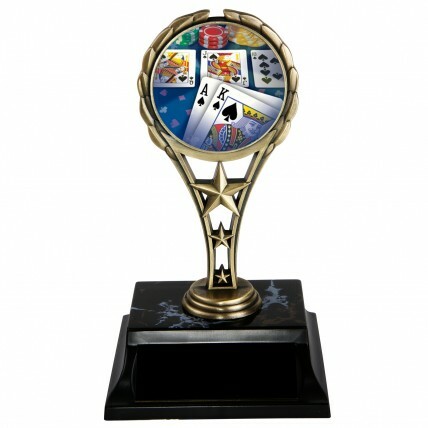 Award the winner of your next card tournament a Poker Star Trophy! At 7 inches tall, this trophy features a gold metal figure with a picture of a royal flush. It rests on a black base with 3 lines of custom engraving included in the price.